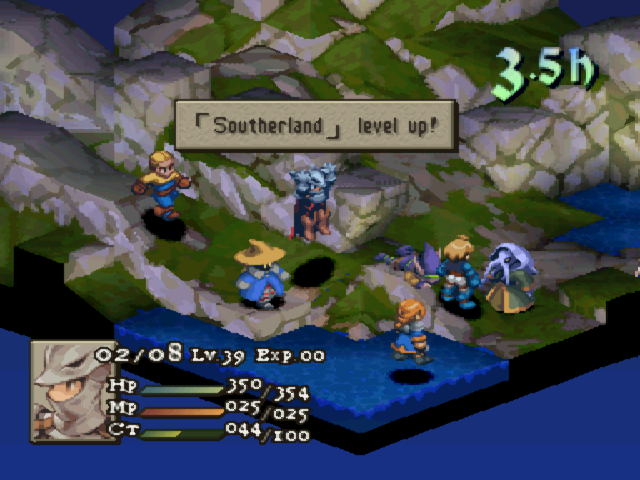 Final Fantasy Tactics... One of the absolute best SRPGs ever created! You play as Ramza, the youngest son of the noble Beoulve Family that serves the Lord of Gallione. 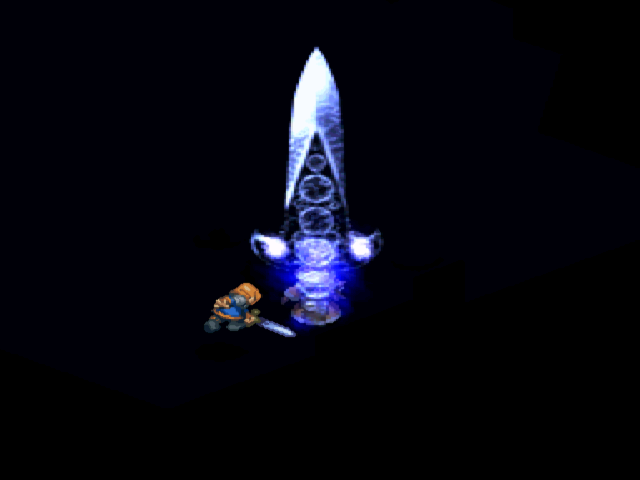 A series of events brings Ramza and his comrades face to face with the legendary Zodiac stones. According to legend, the Zodiac Braves come when evil descends upon Ivalice. 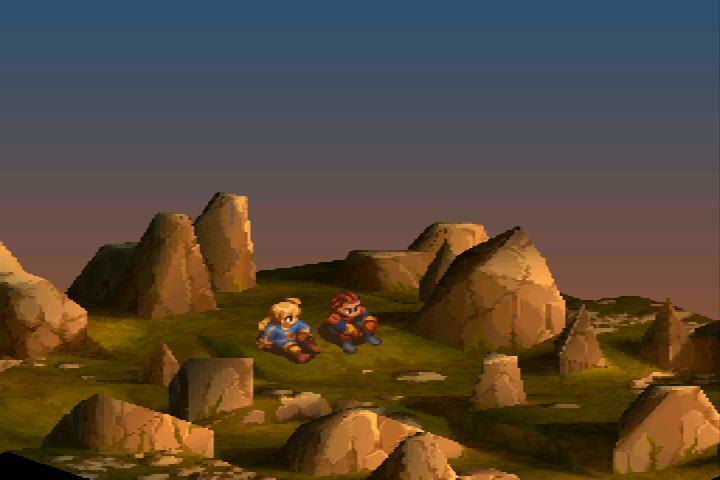 Unfortunately, the "Zodiac Braves" that have come to Ivalice in Ramza's time are not like the heroes that are spoken of in The Zodiac Brave Story that has been told to everyone for generations. Can Ramza and his friends save Ivalice from the servants of evil that threaten the entire world? This game uses a simple menu and grid movement system that kind of reminds one of the game of chess except character levels and job skills play a major part in deciding who wins the battle. The job system is an interesting concept. Instead of just leveling up your characters to make them stronger, you also assign them to different jobs to gain skills and attribute bonuses as well as more powerful job classes by gaining "job points" during battle. What makes FF Tactics a great game is not only the depth of customization you have for your fighters, but also a solid story line and stunning graphics. You put that together with memorable characters that you actually care about and an inspired musical score and you can't lose. 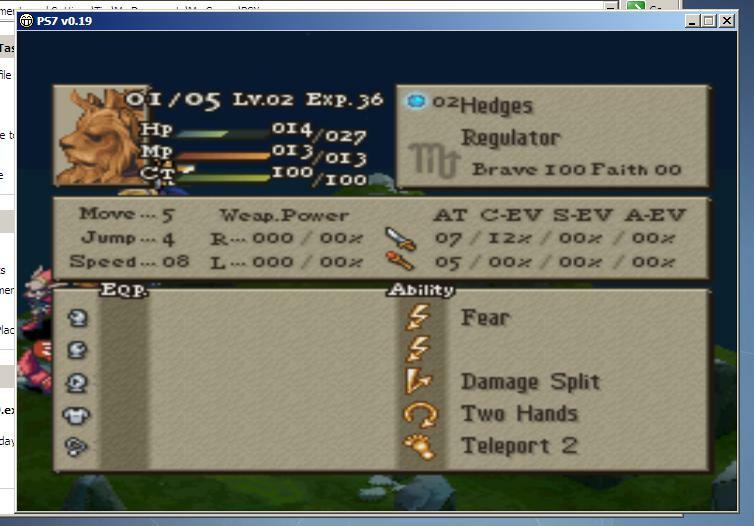 Square ruled the RPG scene during the PSX era and when you play a game like this one, it is easy to see why. 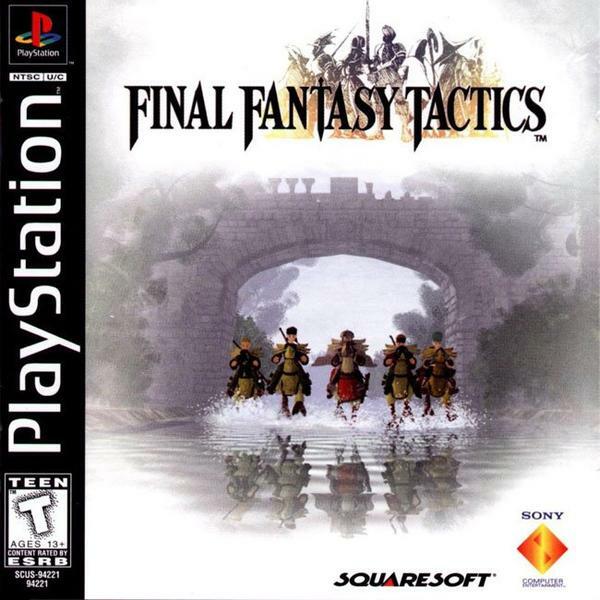 This is considered by many to be the best SRPG for the PSX with Tactics Ogre being the only other in the running for that title. 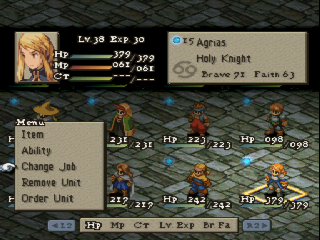 Final Fantasy Tactics is totally worth playing even if you are not into RPG games. I would recommend this game to anyone! Period. I remember the first day I put this Little gem in my PS1 for the first time. I had been a fan of the final fantasy sereis for quite a time running when I got this one. Sure it was a departure from the normal formula. Who ever said that was a bad thing? First things first. The story is suprisingly deep with a rich background to a world plagued by war and political deceit. You play the role of Ramza. A young and naive aristocrat who would later become a mercenary. Overall a very good story. There is even a stage where Cloud Strife from Final Fantasy 7 stumbles into youre party! The visuals and sound are also deemed as some of the best on the system. But where the real money is, is in the battle system. It is gloriously Diverse and the job system ensures for endless tactics to use on the battlefield. The only real thing to dislike is spotty english translations in certain areas of the game. But it's a solid game and I think it deserves, neigh!, earns a solid score of 5/5. Lead epic Battles in a new Final Fantasy world. Betrayal and darker dealings await in Square Soft's game of war. fight hundreds of battles across dangerous 3D terrain as an ancient blood feud awakens a deadlier foe. Now you can add videos, screenshots, or other images (cover scans, disc scans, etc.) for Final Fantasy Tactics [NTSC-U] to Emuparadise. Do it now!